I've been studying cliffhangers. You know, those irritating, yet enticing come-ons at the end of a book chapter, that force you to keep reading even though you know you need to get some sleep. • On March 14, 1874, A Rochester, New York reporter caught up with Wild Bill Hickok who had just quit show biz and was walking down the main street in a snowstorm. A newsboy spotted the frontier celebrity and yelled out, "Oh! Stag his nibs wid the long hair!" After much research I have finally uncovered what this means. So, you need to buy the book tomorrow night to find out what it means. "A cliffhanger should be abrupt and come at the end of the plot." Wait! If we already bought the book, how are we to find out the meaning of the quote???????? Inquiring minds, etc. 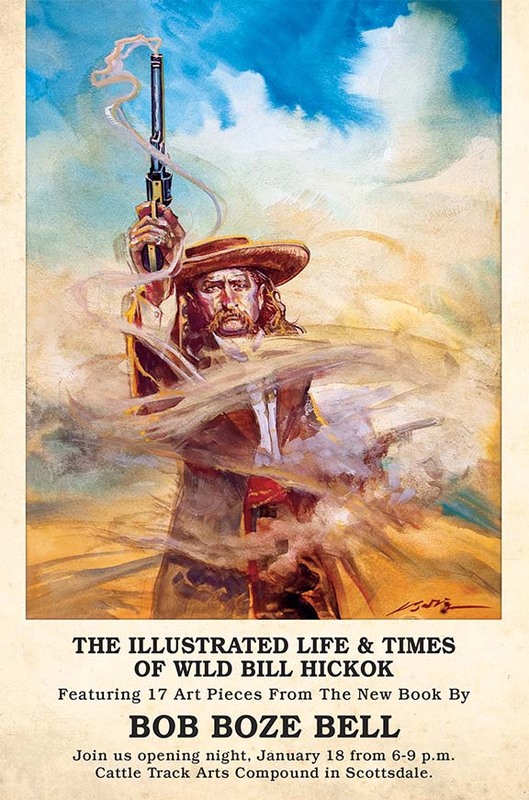 Okay, open the Illustrated Life & Times of Wild Bill Hickok to page 79, right-hand column. The answer is right there.